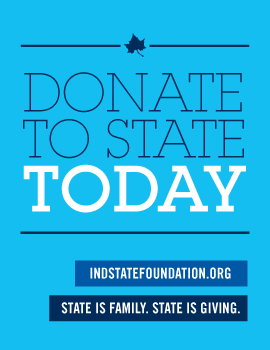 Follow this checklist to complete your enrollment at State. If you have questions about this process, you are welcome to contact the Office of Admissions toll free at 800-GO-TO-ISU. We look forward to seeing you become a Sycamore! Activate your MyISU student portal to access your university email and other important student information. You will need your University username and ID number provided on your admission letter, date of birth, and the last four digits of your Social Security Number. Apply for federal and state financial aid by completing the Free Application for Federal Student Aid (FAFSA). Using our school code, 001807, file your FAFSA by April 15, 2019. For more information, contact the Office of Student Financial Aid at 800-841-4744. Apply to live on campus starting now. Be sure to activate your MyISU student portal in order to start your housing application. For priority assignment, complete your housing contract by June 2019. Register for New Student Orientation starting now. This two-day summer event allows you to sign up for classes with an academic advisor, speak with a financial aid representative, stay overnight in a residence hall, and discover our campus resources. Submit health and immunization documents before you attend New Student Orientation (required by the State of Indiana Department of Health). For more information, contact the Office of Registration and Records at (812) 237-2020. Before you attend New Student Orientation, take the required math placement test and the optional non-native language placement test. In addition, please take the Focus 2 Career Assessment to explore exciting career options based on your interests, talents, values, and more (please use access code: Sycamores for the Focus 2 Career Assessment). Go to your reserved on-campus session and prepare to become a Sycamore! Go to Veterans Services for more information about eligibility at Indiana State, an approved veterans benefits institution. Go to the Center for Student Success if you require accommodations. We will make every effort to provide assistance as needed. You must maintain an acceptable record through the completion of your current studies. Your admission is subject to cancellation if your final transcript indicates a significant decline in your academic achievement. You are required to notify the Indiana State University Office of Admissions if you have registered, enrolled, or attended any other institution not listed on your admission application.